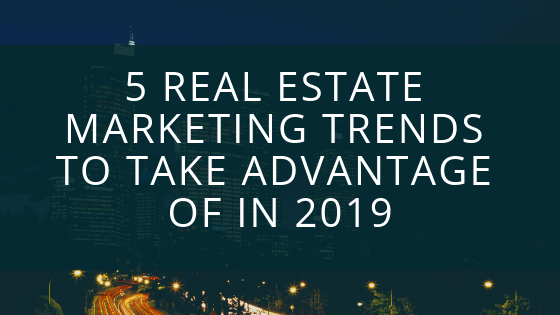 In order to have a successful real estate career, it is essential that you stay abreast of the latest trends in real estate marketing and industry wide. 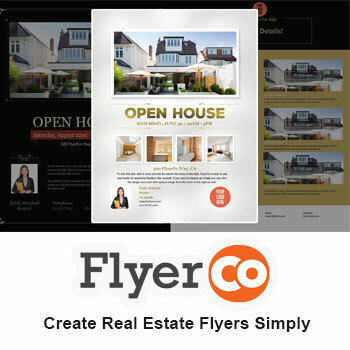 As our world is becoming increasingly more digital and mobile, real estate agents need to be that much more creative with their marketing approach. Automation is a marketing trend that is super popular right now across most industries and real estate is definitely one of them. The life of a real estate agent is on the go and time is money. For this reason, many agents have already jumped on the bandwagon of automating their real estate marketing processes. Automation not only helps you get things done faster but will also keep you organized. Here are some ways automation can help with your marketing strategy. Text message marketing campaigns: Engage with leads in real time and keep them moving along the sales funnel. Email campaigns: Set up your campaigns to automatically segment your email list. You can then send out emails based on where your clients are at in the funnel and their preferences. Use chat bots: Try these out on your website and Facebook page. You will be able to connect with visitors in real time by answering questions and engaging in conversation. When it comes to your real estate marketing plan you are not just trying to get people to know your name and face. With so much competition out there, you have to work at building up trust and authority with people in order to see true success. Guides: This could be for both buying a home or selling a home. You can cover all the basics about each process. Take it a step further and provide helpful info related to the specific communities in your area. Blog content: You can get super creative with this one. Content like local events, school comparisons, neighborhood profiles, best places to eat, the list is endless. Live video on Facebook or Instagram. Here, your followers are able to comment and you can answer questions in real-time. Numbers can be fact checked easily online so it is never worth it to lie or embellish information. Use social media to give clients a behind the scenes peek. The more clients get to see how you go about your job, the more trust you are building. Instagram stories is a great place to show off an open house and discuss the process. If you are staging a home, take people along for the process here too. All this background info will help create a sense of trust in the process. Show off your expertise: Do you know the ins and outs of your community? Share that information on social media with your followers. It is also good to share all the knowledge you can about the home buying and selling process. The majority of people don’t feel confident in this area so any myths you can help dispel will gain you trust points. Whatever it is that you’re good at, share that information with your followers to establish trust and expertise. With so much technology available today, you can’t forget about the personal side of the business. Now more than ever, 2019 will see an uptick in personalized content and relationship-building. Whenever you can, add personal touches to your communication with your audience. This means handwritten thank you notes and cards during the holidays. Also pick up the phone more, text messaging is easier but it takes a little more effort to pick up the phone and call. These little extra touches will stand out to your clients and will not only strengthen your relationship but build up the level of trust they have with you. Real estate is not only competitive but continuously evolving. Whether you are a seasoned agent or just starting out, it is crucial that you stay abreast of the new marketing tactics and trends that come out each year. Take stock in what you have set for your real estate marketing strategy and see if you are employing these tactics. Now is the time to revamp a little if necessary.